During World War II, State College formed a partnership with the U.S. Navy to train naval officers in diesel engineering. The Diesel Building was constructed to house this project. 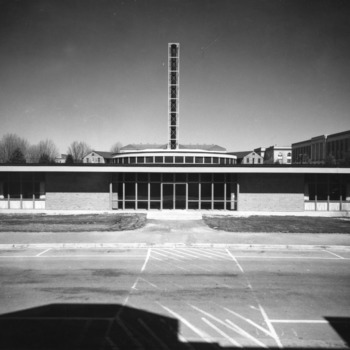 It was designed by Ross Edward Shumaker and became part of Broughton Hall in 1951. Diesel School, North Carolina State College, May 18, 1944. 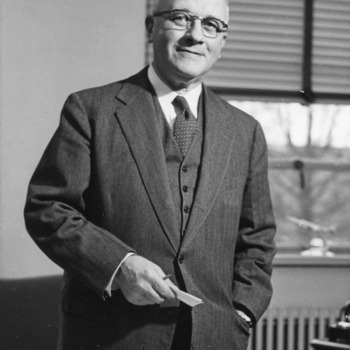 Harold Lampe, Dean of the School of Engineering, approves the building of a nuclear reactor on campus and the establishment of a collegiate nuclear engineering program, both firsts in the nation. 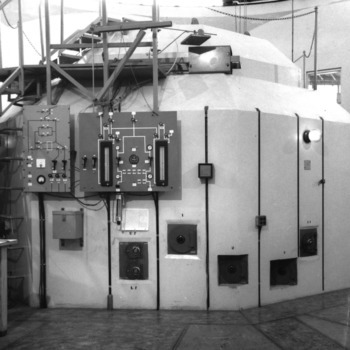 The R-1 reactor was the first non-government-run nuclear reactor in the world and the first designed, built, and operated by an academic institution. 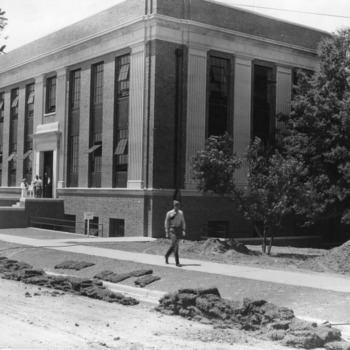 Design and construction had begun in 1950. 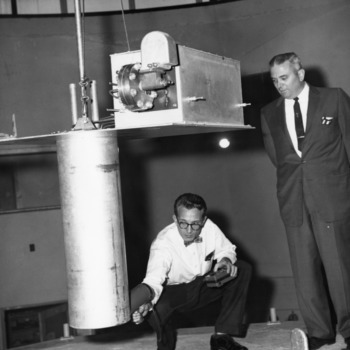 It was the first of four reactors operated at NC State. 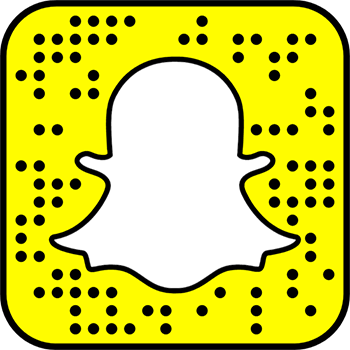 More information on the nuclear reactor program can be found on the departmental website. Hervasio Carvalho of Brazil, a graduate student in the School of Engineering at NC State, becomes the first person in the world to complete a Ph.D. in Nuclear Engineering. The Burlington Nuclear Laboratories building is dedicated; located within the building is the first non-government-run nuclear reactor. Dr. William Barclay instructs a class as part of the Atoms for Peace Program. 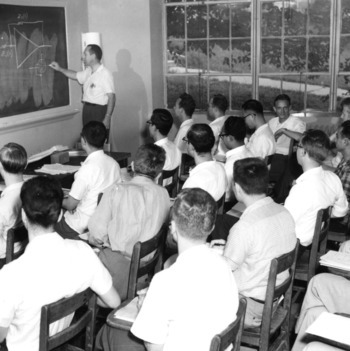 More information on the history of the nuclear engineering program can be found on the departmental website. Sixty gallons of anti-freeze are put in the cooling tower for the reactor in Burlington Laboratory, added to keep the 250 gallons of water in the tower from freezing during the winter. Samiha Mourad becomes the first woman to receive a Ph.D. in Nuclear Engineering.